The Spring 2014 Meeting of the MD-DC-VA section of the MAA was held at James Madison University, on April 25-26, 2014. 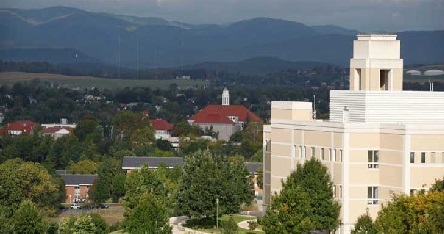 On Friday Laura Taalman of James Madison University will ran workshops on 3D printing, and Roland Minton of Roanoke College will gave the banquet address, Mathematical Mystery Tour. The Saturday morning address, Three Things That Don't Really Go Together, was given by Matthew Pons of North Central College, and the Saturday Afternoon Address, The Lamp Lighting Problem, was given by Bruce Torrence of Randolph-Macon College. Abstract: In this workshop we will discuss various 3D-printed mathematical objects and methods for modeling such objects in Mathematica, TopMod, and OpenSCAD. Participants will have hands-on use of the 3D printers in the JMU 3-SPACE 3D printing classroom, and will construct and print their own models during the workshop. We will also discuss equipment, safety, and other practical matters for participants who wish to establish 3D printing labs or classrooms in their own mathematics departments and institutions. Biographical Sketch: Laura Taalman is a Professor in the Department of Mathematics and Statistics at James Madison University, where she joined the faculty after graduate work at Duke University and undergraduate work at the University of Chicago. Her mathematical research interests include singular algebraic geometry, knot theory, and the mathematics of games and puzzles. Dr. Taalman is the director of the JMU MakerLab mathematical 3D-printing lab and the JMU 3-SPACE general education 3D-printing classroom. She is known as "mathgrrl" on Thingiverse and has created more than 100 mathematical and practical 3D models with a combined total of over 40,000 downloads. Her blog makerhome.blogspot.com details these designs with step-by-step instructions to help beginners learn to make 3D models with freeware. She is also an author of two calculus textbooks and seven books on Sudoku and mathematics. Abstract: In the spirit of Martin Gardner and Math Awareness Month, an eccentric collection of mathematical tidbits will be presented. There will be mathematical magic tricks, including perhaps the oldest (mathematical) trick in the book. There will be historical diversions, including perhaps the oldest (mathematical) game in the book. There will be more odd, even, and hopefully interesting ideas. Biographical Sketch: Roland Minton is Professor of Mathematics at Roanoke College. He received his Ph.D. in mathematical sciences from Clemson University. He is co-author with Bob Smith on a series of calculus textbooks, which are now in a f ourth edition. His book Golf By the Numbers introduces new metrics for the evaluation of professional golfers. 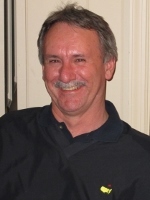 With co-authors Tim Pennings and Elvis, he won an MAA writing award in 2008. 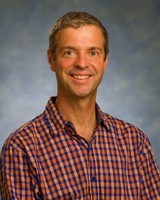 He received a Virginia Outstanding Faculty Award in 2005. Abstract: In three short segments, we will investigate several topics which all undergraduate mathematics majors know to be true (or trust in the existence of), but many of whom graduate without experiencing in a rigorous fashion. Our goal is to consider the following questions: Why is e irrational? Can we identify elements in the Cantor Set? How does one construct a function which is continuous everywhere but differentiable nowhere? These are topics that every math major should know, really know. 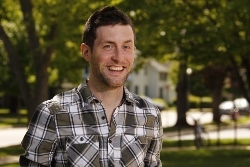 Biographical Sketch: Matthew A. Pons is currently an associate professor of mathematics at North Central College in Naperville, IL. He earned his bachelorâ€™s degree in mathematics from the University of North Carolina at Asheville and his Ph.D. from the University of Virginia. Matthewâ€™s research interests lie at the crossroads of complex analysis and operator theory, where these two areas are brought together via the operation of function composition. In 2011, Matthew won the Clarence F. Dissinger Award for Distinguished Teaching at North Central College and is the author of the new Springer text, Real Analysis for the Undergraduate. Early one morning a janitor is walking through a museum, trying to turn on the light in every room. However, the electrical connections are a bit tricky. In every room there is a button, and pushing the button toggles the light on/off not only in that room, but also in all adjoining rooms! Can the janitor light up every room in the museum? The lamp lighting problem is a beautiful mathematical exercise lying at the nexus of graph theory and linear algebra. It is based on a theorem whose history is both fascinating and sordid: many have "discovered" and published it over t he past three decades. The problem itself has a similar knack for cropping up, having appeared under various guises in the problem sections of The Mathematical Intelligencer and Mathematics Magazine (twice!). We will take a stab at coming to terms with the result, proving it at least twice along the way, with the aim of showing how each approach sheds light on the others. We also hope to shed enough light on the theorem itself to deter others from claiming it as their own. Biographical Sketch: Bruce Torrence is the Garnett Professor of Mathematics at Randolph-Macon College. He received his Ph.D. in algebraic topology from the University of Virginia in 1991, and worked as a visiting professor at Georgetown University from 1991-1993 before taking his current job. He served with Eve Torrence and Colm Mulcahy as an organizer of Mathematics Awareness Month 2014. From 2008-2013 he served with Stephen Abbott as a coeditor of Math Horizons. He coauthored with Eve Torrence The Student's Introduction to Mathematica, now in its second edition. When not learning, doing, or teaching mathematics, he enjoys making photographs and riding his bikes.